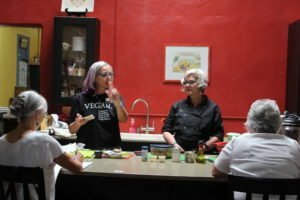 Click here to learn more about The 2nd Friday Vegan Potluck! Get ready to VegOut in Scottsdale! VegOut Events, in partnership with FoodInRoot & Local First Arizona, is proud to present the 1st Annual VegOut! 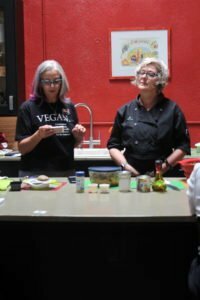 Scottsdale Vegan Beer & Food Festival, a two-day event on March 17 & 18, 2018! Save the date(s)! Set in the beautiful Scottsdale Waterfront during the best weather of the year, VegOut! 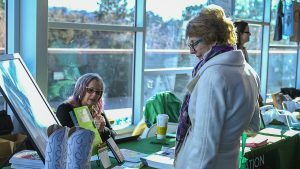 Scottsdale is a celebration of vegan food & drink, live entertainment, educational speakers, chef demonstrations, fitness classes, and a ton of fun for all! 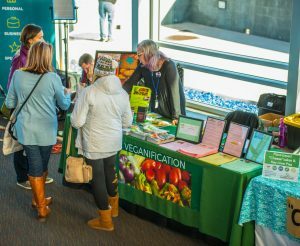 More than 100 expected vendors will be exhibiting on the waterfront, with a full line up of vegan programming for 2 full days of action! 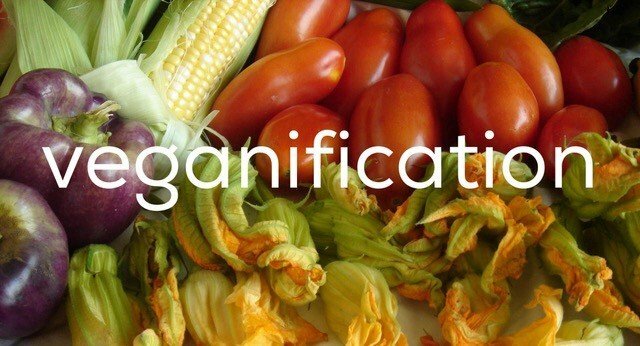 Veganification is a Stem-Level Sponsor. Stop by and visit Linda Voorhis. 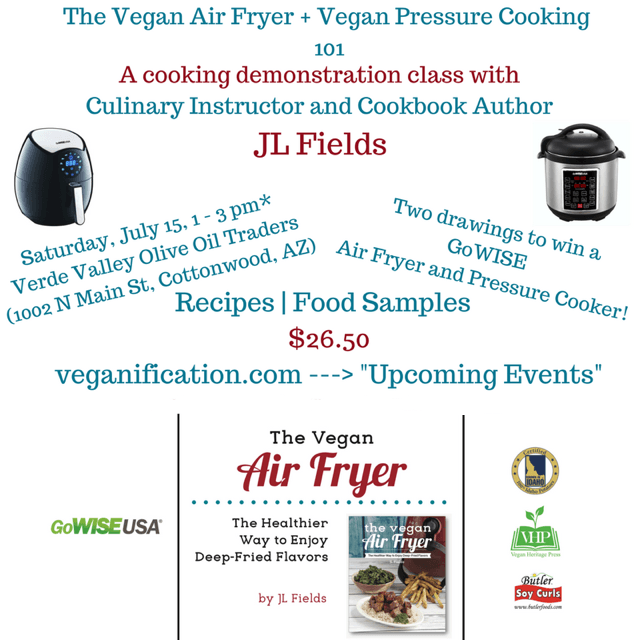 On Sunday, Victoria Moran (Main Street Vegan) and JL Fields (The Vegan Air Fryer, Vegan Pressure Cooking) will be at Veganification’s table for a book-signing event promoting the newly-released “The Main Street Vegan Academy Cookbook“. 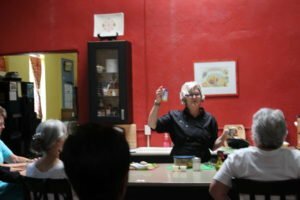 Join us for a night of fantastic food, luscious libations, and convivial conversations couple with giving back to your community…the making of a fun and gratifying evening. Mudshark Brewery from Lake Havisu will be featuring their seasonal brews (Hot for Teacher Apple Pie Hefeweizen, Candelburner IPA, and Full Moon Belgian White Ale. For every beer sold, $1 will be donated to the Sedona Food Bank. 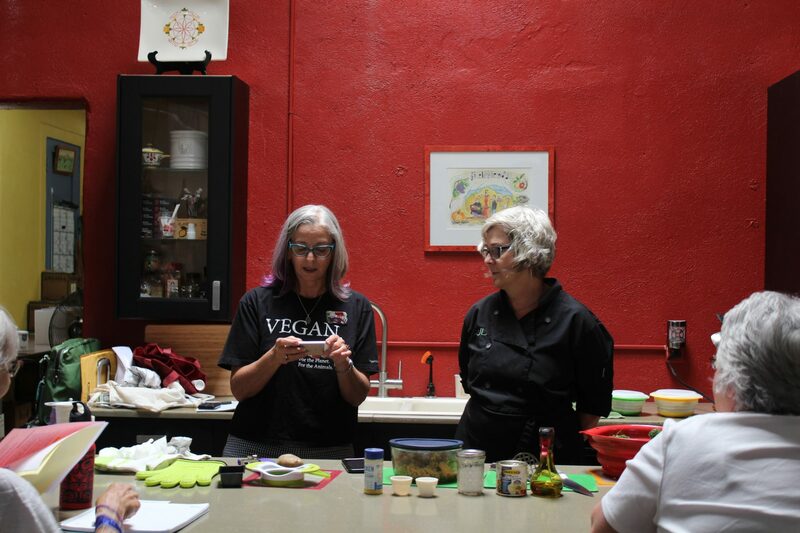 Plus, everyone who comes will receive a free vegan treat to take home! We’ll be ordering our meals and beverages off the menu with separate checks. 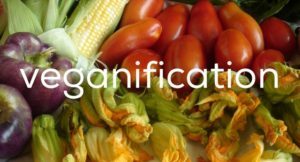 Bar 1902 has a plethora of vegan option with the ability to veganify most of their vegetarian options. Don’t want to spend a lot of time cooking? Don’t want to heat up the kitchen using your stove and oven? 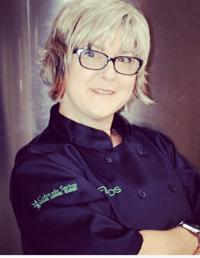 Linda Voorhis will be making luscious and hearty soups that take moments to prepare, yet taste like they took all day. And they require no cooking whatsoever. 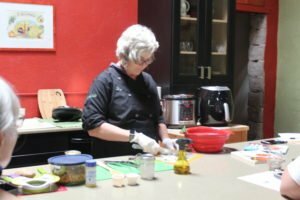 Linda will be making the soups right on the spot during the class and then share the joy of savoring them. Minestra Verdura e Riso (Broccoli & Rice) and Thai Corn-Coconut Soup. Free Vegetarian Starter Kits and Soup Samples! 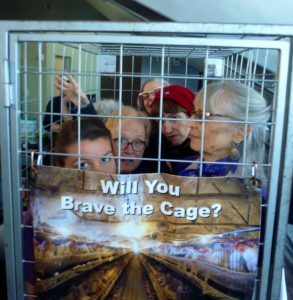 This was a sold out event. 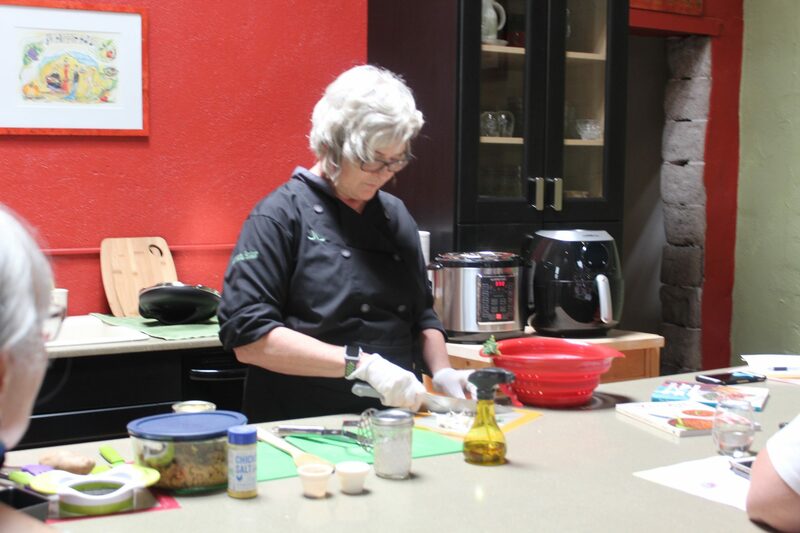 JL Fields showed us how to use the Air Fryer by making kale/potato nuggets and Soy Curls. 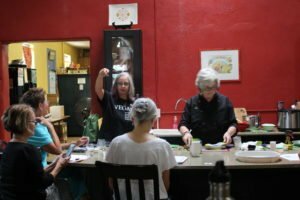 She used the electric pressure cooker when she dazzled us by cooking the potatoes and kale in a fraction of the time it would take on the stovetop. Lots of amazing tips. Everyone left confident they could use both appliances. $26.50 per person include the demonstration, tasting, recipes, raffle entry, and book signing (JL will have books for purchase at the demo, or you can bring your own copies for her to sign).